We are right in the middle of the holiday season, and with so many delicious treats, it’s hard to choose which ones to serve at a holiday party. Chocolate peppermint cookies and gingerbread men are yummy options, but if you want to step outside of the box, a 3D cookie tree is the perfect option. And it’s not too hard to create. The newest Christmas cookie trend adds depth and dimension to a dessert table that you won’t find on a normal tray of cookies. The cookie tree is created by stacking different sizes of star-shaped cookies and using sugary frosting as glue to hold them together. Bakers can use a classic sugar cookie recipe or sturdy gingerbread as the base for the towering treat. 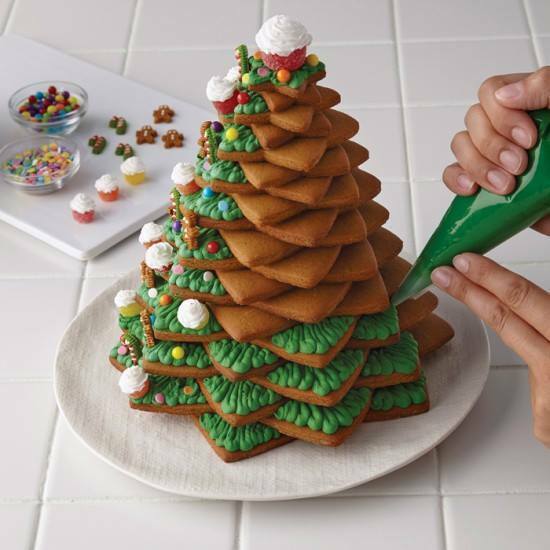 Christmas cookie trees are customizable, and depending on how ambitious of a baker you are, a cookie tree can stand over a foot tall. Mini cookie trees are also a possibility. The cookie tree stacks created by Delish only use three cookies and three layers of frosting. At your holiday party, guests will be impressed by your towering and edible decorations. Don’t forget the sprinkles and a sugar star to sit on top of your Christmas cookie tree.